Every so often we get the joy of seeing a new and unique film that breaks the mold and gives us all hope that there is still some creativity left in Hollywood. This is a horrible waste of your time and everybody else's time that had the displeasure of working on this movie. It is barely funny because it spends most of the movie trying to be a somewhat serious murder mystery. 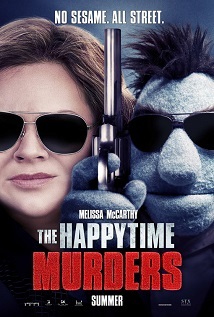 It's a basic mystery movie at best because when it should be giving us twists we don't see coming it gives us stupid adult jokes told by puppets. I guess that is supposed to make it funnier, but it doesn't work. There are so many movies out that are significantly better than this one. Even if you think you are in the mood for a raunchy comedy, stay away. It's not any good. Go rent a Jason Bateman flick and consider yourself lucky for having avoided wasting your hard-earned money on a terrible film. They should have cut the strings on this puppet a long time ago.